Vladlen Timorin has been at HSE since 2009. Preprint Timorin V., Shepelevtseva A. Invariant spanning trees for quadratic rational maps / Cornell University. Series arxive "math". 2018. Preprint Timorin V., OVersteegen L., Cheritat A., Blokh A. Location of Siegel capture polynomials in parameter spaces / Cornell University. Series arxive "math". 2018. Preprint Timorin V., Ross P., Lex O., Alexander B. Models for spaces of dendritic polynomials / Cornell University. Series arxive "math". 2017. Preprint Blokh A., Oversteegen L., Timorin V. Perfect subspaces of quadratic laminations / Cornell University. Series arxive "math". 2017. Book Тиморин В. А. Геометрия гамильтоновых систем и уравнений с частными производными. М. : Издательский дом НИУ ВШЭ, 2017. Article Timorin V., Petrushchenko S. On maps taking lines to plane curves // Arnold Mathematical Journal. 2016. Vol. 2. P. 1-20. Preprint Blokh A., Oversteegen L., Timorin V. Slices of Parameter Space of Cubic Polynomials / Cornell University. Series arxive "math". 2016. Article Timorin V., Sterligov I. A Metric View on Russian Mathematics and Russian Mathematical Diaspora (A Study Based on Frequent Russian Surnames) // Higher Education in Russia and Beyond. 2015. No. 4(6). P. 10-14. Article Esterov A. I., Timorin V. Changing Traditions of Mathematical Education: BSc Program in Mathematics at the National Research University Higher School of Economics // Higher Education in Russia and Beyond. 2015. No. 4(6). P. 22-23. Article Timorin V. Reasons for the Success of the Soviet Mathematical School // Higher Education in Russia and Beyond. 2015. No. 4(6). P. 9-10. Preprint Blokh A., Oversteegen L., Ptacek R., Timorin V. The combinatorial Mandelbrot set as the quotient of the space of geolaminations / Cornell University. Series math "arxiv.org". 2015. Preprint Blokh A., Oversteegen L., Ptacek R., Vladlen Timorin. The parameter space of cubic laminations with a fixed critical leaf / Cornell University. Series math "arxiv.org". 2015. Preprint Blokh A., Oversteegen L., Ptacek R., Vladlen Timorin. Combinatorial models for spaces of cubic polynomials / Cornell University. Series math "arxiv.org". 2014. Preprint Blokh A., Oversteegen L., Ptacek R., Vladlen Timorin. 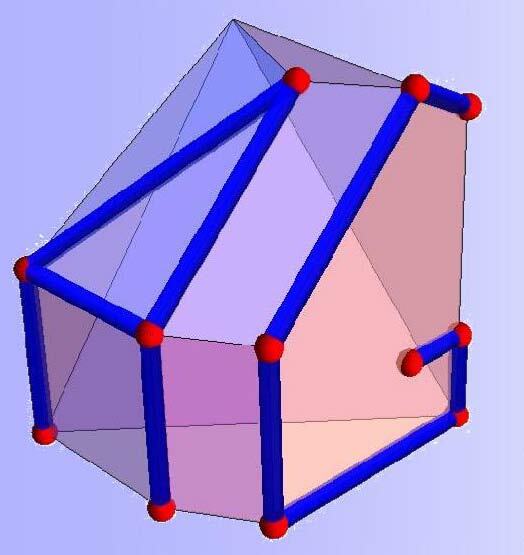 Complementary components to the cubic Principal Hyperbolic Domain / Cornell University. Series math "arxiv.org". 2014. Preprint Timorin V., Petrushchenko S. On maps taking lines to plane curves / Cornell University. Series math "arxiv.org". 2014. No. 1409.3403. Preprint Blokh A., Oversteegen L., Ptacek R., Vladlen Timorin. Smart criticality / Cornell University. Series math "arxiv.org". 2014. Preprint Timorin V., Khovanskii A. G. Aleksandrov-Fenchel inequality for coconvex bodies / Cornell University. Series math "arxiv.org". 2013. No. 1305.4484. Preprint Timorin V. Disquisitiones 235 / Cornell University. Series math "arxiv.org". 2013. No. 1309.4879. Preprint Timorin V., Blokh A., Oversteegen L., Ptacek R. M. Laminations from the Main Cubioid / Cornell University. Series math "arxiv.org". 2013. No. 1305.5788. Article Ghys E., Tabachnikov S., Timorin V. Osculating Curves: Around the Tait-Kneser Theorem // The Mathematical Intelligencer. 2013. Vol. 35. No. 1. P. 61-66. Preprint Timorin V., Blokh A., Oversteegen L., Ptacek R. M. Quadratic-like dynamics of cubic polynomials / Cornell University. Series math "arxiv.org". 2013. No. 1305.5799. Preprint Timorin V., Oversteegen L., Blokh A., Ptacek R. M. The Main Cubioid / Cornell University. Series math "arxiv.org". 2013. No. 1305.5798. Chapter Тиморин В. А. Аскольд Георгиевич Хованский: Идеальный математик // В кн. : Поколения ВШЭ. Ученики об учителях. М. : Издательский дом НИУ ВШЭ, 2013. С. 17-20. Article Mashanova-Golikova I., Timorin V. Captures, matings and regluings // Annales de la Faculté des Sciences de Toulouse. 2012. Vol. 21. No. 5. P. 877-906. Article Timorin V. Planarizations and maps taking lines to linear webs of conics // Mathematical Research Letters. 2012. Vol. 19. No. 4. P. 899-907. Article Хованский А. Г., Тиморин В. А. Многогранники и уравнения // Математическое просвещение. 2010. № 14. С. 30-57. Article Тиморин В. А., Табачников С. Прямая Сильвестра (часть 1) // Квант. 2009. № 5. С. 2-6. Article Тиморин В. А., Табачников С. Прямая Сильвестра (часть 2) // Квант. 2009. № 6. С. 6-9. Article Aicardi F., Тиморин В. А. On binary quadratic forms with the semigroup property // Труды Математического института им. В.А. Стеклова РАН. 2007. Т. 258. № 1. С. 23-43. Article Timorin V. Rectifiable pencils of conics // Moscow Mathematical Journal. 2007. Vol. 7. No. 3. P. 561-570. Article Тиморин В. А. Диффеоморфизмы, переводящие прямые в окружности, и кватернионные расслоения Хопфа // Функциональный анализ и его приложения. 2006. Т. 4. № 2. С. 33-43. Article Timorin V. Circles and quadratic maps between spheres // Geometriae Dedicata. 2005. Vol. 115. P. 19-32. Article Тиморин В. А. Окружности и алгебры Клиффорда // Функциональный анализ и его приложения. 2004. Т. 38. № 1. С. 56-64. Book Тиморин В. А. Комбинаторика выпуклых многогранников. М. : МЦНМО, 2002. Article Тиморин В. А. О многогранниках, простых в ребрах // Функциональный анализ и его приложения. 2001. Т. 35. № 3. С. 36-47. Article Тиморин В. А. Аналог соотношений Ходжа–Римана для простых выпуклых многогранников // Успехи математических наук. 1999. Т. 54. № 2. С. 113-162. Article Тиморин В. А. Смешанные билинейные соотношения Ходжа–Римана в линейном контексте // Функциональный анализ и его приложения. 1998. Т. 32. № 4. С. 63-68. 2015: Deputy Editor-in-chief, Arnold Mathematical Journal. 2013: Member of the Editorial Board, Journal of Dynamical and Control Systems. ICTP-SISSA-Mosсow School on Geometry and Dynamics (Триест). Presentation: Курс "Polynomial Dynamics and Thurston Laminations"
"Topological and geometric methods in low-dimensional dynamical systems"
A "slow capture" (similar to a slow mating) of the basilica. converging to a capture of the basilica. They are produced using a version of Thurston's algorithm.